The Spiritmaster is the debuff specialist and the only class that utilizes pets in Aion. Spiritmasters use their powerful summons to damage and keep enemies at bay while they themselves inflict massive damage through the use of their damage over time skills. The Spiritmaster is considered to be a secondary dps and secondary CC class. The Spiritmaster is the main debuffing class in Aion in that most of the skills in a Spiritmaster’s repertoire consist of debuffs in the form of damage over time skills. To offset this lack of direct damage, Spiritmasters also have the ability to summon and command many different elemental entities that can fill a variety of roles to match any situation. But while their many different damage over time skills can be combined with their summons to inflict considerable damage, what makes this class truly unique lies in their ability to remove buffs from their enemies and their ability to cast fear status on their targets. A Spiritmaster’s buff removal abilities can make any battle much easier, in both PvE and PvP situations, which becomes clear very quickly as they can remove buffs that shield their target or remove buffs that make their target much stronger. While all this makes a Spiritmaster a worthy addition to any party, a Spiritmaster’s most feared and well known ability is, appropriately enough, their ability to cast fear on their targets. The Spiritmaster is the only class in Aion that can cast an unbreakable fear status on an enemy target. As such, with proper positioning, a Spiritmaster can keep a target feared continually while their summons, damage over time spells, and party members can quickly dispatch the enemy while taking no damage whatsoever. For armaments, Spiritmasters, like Sorcerers, are limited to choosing either a tome or an orb to wield while on the battlefield. While orbs provide more magic boost, increasing magical damage done, tomes provide a higher degree of magical accuracy, which reduces the chance that a spell will be resisted by the target. While many Spiritmasters start off the game with an orb and switch to a tome in the late game, both weapons are viable at all levels and is generally left to user preference. 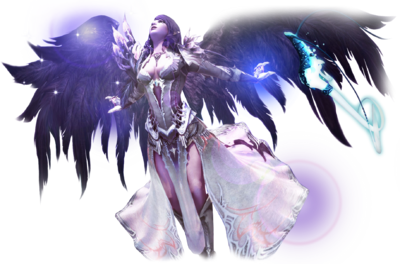 In solo play, Spiritmasters are one of the best solo classes available in Aion, in that they are never truly alone. Many of their summons can fill both the tank and dps roles while the Spiritmaster can aid in DPS while providing minor healing to their summon. Spiritmasters also have the ability to kill elite monsters alone, as they can simply kite an enemy while their summons and damage over time skills eat away at the monster’s health. When fighting normal monsters, Spiritmasters can easily fight multiple monsters at the same time by letting their spirits take care of one mob while the Spiritmaster takes care of the others. In group play, Spiritmasters are a welcome addition to any party, as their Spirit Erosion I <Spirit Erosion I> ability can increase the drop rate of rare items. Spiritmasters are also sought after for many higher level instance areas, as bosses in those areas usually have many buff abilities that can only be removed by a Spiritmasters’ buff removal abilities. In solo PvP, Spiritmasters are a force to be reckoned with and most battles with a Spiritmaster usually end up with their target continually being feared away from them while being whittled down by summons and damage over time skills. As targets that are feared cannot cast any skills or use any items, any feared target is helpless for the duration of the fear. Also, any buffs that their targets may use, including any item buffs, can easily be removed a Spiritmaster’s Ignite Aether skill and has a secondary effect of also doing damage while removing multiple buffs. In group PvP, a Spiritmaster is a game changer in that he can instantly lockdown any class through the use of his fear abilities. A well placed Fear Shriek I <Fear Shriek I> can lock down an entire enemy party at once, leaving the Spiritmaster’s group to freely dispatch enemy players with no fear of retaliation. Also, any buffs that the enemy team may have had will only serve to serve to hurt them when facing a Spiritmaster. In addition, a Spiritmasters’ AoE damage over time skills and the use of their summons to apply pressure to enemy casters, makes the Spiritmaster an incredible force to be reckoned with in any group PvP scenario. With so much potential to wreak havoc on an enemy group, Spiritmasters are usually targeted and dispatched first, even before clerics, as even one well placed fear spell can instantly end the battle for the team on the receiving end. In summary, the Spiritmaster is a class with high potential to be effective in all types of play. However, this class does require a certain degree of multitasking ability, as the player needs to be in complete control of both the Spiritmaster and his summon at all times to be effective. Proper positioning of both the Spiritmaster and his summon is crucial to many PvE and PvP scenarios and a complete understanding of the many different types of skills available as well as the current summons’ skills is required to excel at this class. It is important to note that the Spiritmaster is still a Mage type class and is limited to wearing cloth armor. Although Spiritmasters have access to a shield spell and the powerful Spirit Substitution I <Spirit Substitution I> skill, if caught unprepared, they can be dispatched very quickly. Another thing to note is that two casts of the same debuff skill do not stack in Aion. This means that if a party has two Spiritmasters, the effectiveness of their damage over time spells will be limited as only one can be in effect on one target at a time. Their spells enable them to summon different elementals, and boost their powers in combat. Spiritmasters also have damaging spells to ensure they aren’t fully reliant on their summoned elemental. The main weapon of the Spiritmaster will be their summons. Each summon is tied to one of the four elements and each has its own special abilities. You can only have one of the elements out at a time, so the summon you pick will be vital to what situation you are presented with. The majority of skills will include, but not be limited to, buffing and healing the summoned pet. The Spiritmasters’ arsenal also includes abilities which fear, root, deal direct damage, and deal damage over time to their enemies. PvP armor sets usually add Magical Accuracy manastones to counter Magic Resist. PvE armor sets usually add Magic Boost manastones due to mobs lower Magic Resist than in PvP. Class Summary The Spiritmaster is the debuff specialist and the only class that utilizes pets in Aion. Spiritmasters use their powerful summons to damage and keep enemies at bay while they themselves inflict massive damage through the use of their damage over time skills. The Spiritmaster is considered to be a secondary dps and secondary CC class.Play StyleThe Spiritmaster is the main debuffing class in Aion in that most of the skills in a Spiritmaster’s repertoire consist of debuffs in the form of damage over time skills. To offset this lack of direct damage, Spiritmasters also have the ability to summon and command many different elemental entities that can fill a variety of roles to match any situation. But while their many different damage over time skills can be combined with their summons to inflict considerable damage, what makes this class truly unique lies in their ability to remove buffs from their enemies and their ability to cast fear status on their targets. A Spiritmaster’s buff removal abilities can make any battle much easier, in both PvE and PvP situations, which becomes clear very quickly as they can remove buffs that shield their target or remove buffs that make their target much stronger. While all this makes a Spiritmaster a worthy addition to any party, a Spiritmaster’s most feared and well known ability is, appropriately enough, their ability to cast fear on their targets. The Spiritmaster is the only class in Aion that can cast an unbreakable fear status on an enemy target. As such, with proper positioning, a Spiritmaster can keep a target feared continually while their summons, damage over time spells, and party members can quickly dispatch the enemy while taking no damage whatsoever. For armaments, Spiritmasters, like Sorcerers, are limited to choosing either a tome or an orb to wield while on the battlefield. While orbs provide more magic boost, increasing magical damage done, tomes provide a higher degree of magical accuracy, which reduces the chance that a spell will be resisted by the target. While many Spiritmasters start off the game with an orb and switch to a tome in the late game, both weapons are viable at all levels and is generally left to user preference.PvEIn solo play, Spiritmasters are one of the best solo classes available in Aion, in that they are never truly alone. Many of their summons can fill both the tank and dps roles while the Spiritmaster can aid in DPS while providing minor healing to their summon. Spiritmasters also have the ability to kill elite monsters alone, as they can simply kite an enemy while their summons and damage over time skills eat away at the monster’s health. When fighting normal monsters, Spiritmasters can easily fight multiple monsters at the same time by letting their spirits take care of one mob while the Spiritmaster takes care of the others.In group play, Spiritmasters are a welcome addition to any party, as their Spirit Erosion I <Spirit Erosion I> ability can increase the drop rate of rare items. Spiritmasters are also sought after for many higher level instance areas, as bosses in those areas usually have many buff abilities that can only be removed by a Spiritmasters’ buff removal abilities. PvPIn solo PvP, Spiritmasters are a force to be reckoned with and most battles with a Spiritmaster usually end up with their target continually being feared away from them while being whittled down by summons and damage over time skills. As targets that are feared cannot cast any skills or use any items, any feared target is helpless for the duration of the fear. Also, any buffs that their targets may use, including any item buffs, can easily be removed a Spiritmaster’s Ignite Aether skill and has a secondary effect of also doing damage while removing multiple buffs.In group PvP, a Spiritmaster is a game changer in that he can instantly lockdown any class through the use of his fear abilities. A well placed Fear Shriek I <Fear Shriek I> can lock down an entire enemy party at once, leaving the Spiritmaster’s group to freely dispatch enemy players with no fear of retaliation. Also, any buffs that the enemy team may have had will only serve to serve to hurt them when facing a Spiritmaster. In addition, a Spiritmasters’ AoE damage over time skills and the use of their summons to apply pressure to enemy casters, makes the Spiritmaster an incredible force to be reckoned with in any group PvP scenario. With so much potential to wreak havoc on an enemy group, Spiritmasters are usually targeted and dispatched first, even before clerics, as even one well placed fear spell can instantly end the battle for the team on the receiving end. Ending NoteIn summary, the Spiritmaster is a class with high potential to be effective in all types of play. However, this class does require a certain degree of multitasking ability, as the player needs to be in complete control of both the Spiritmaster and his summon at all times to be effective. Proper positioning of both the Spiritmaster and his summon is crucial to many PvE and PvP scenarios and a complete understanding of the many different types of skills available as well as the current summons’ skills is required to excel at this class. It is important to note that the Spiritmaster is still a Mage type class and is limited to wearing cloth armor. Although Spiritmasters have access to a shield spell and the powerful Spirit Substitution I <Spirit Substitution I> skill, if caught unprepared, they can be dispatched very quickly.Another thing to note is that two casts of the same debuff skill do not stack in Aion. This means that if a party has two Spiritmasters, the effectiveness of their damage over time spells will be limited as only one can be in effect on one target at a time.